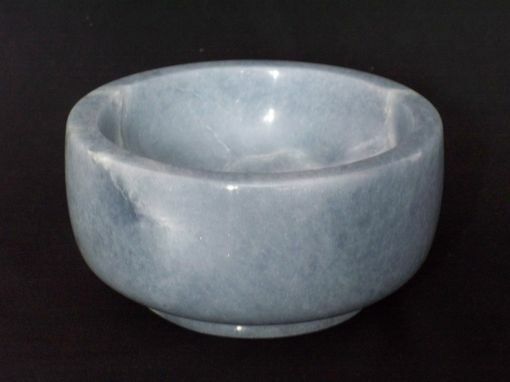 This decorative bowl was handcarved from Italian alabaster. 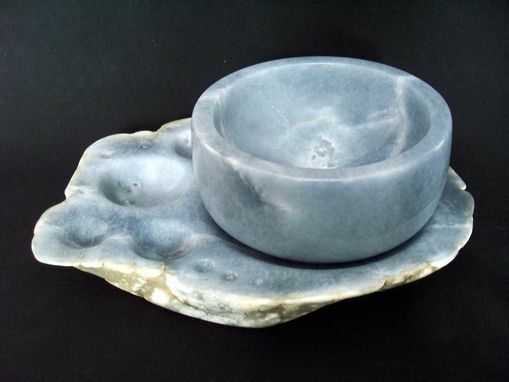 It is sitting on a matching "saucer", that was carved from the same specimen. I left some of the natural, weathered texture of the alabaster boulder along the sides of the saucer, to contrast with the smooth, polished texture of the bowl. This bowl was given as a Christmas present for my wife in 2011. 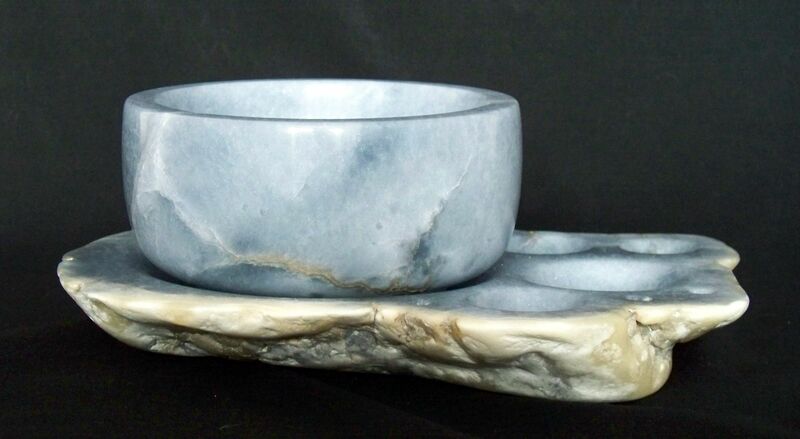 Dimensions: Bowl- 7" x 3.5"
saucer- 11" x 8" x 1.5"